We all know fruits and veggies are good for us, but did you know that some of them contain superhero cancer preventing properties? Keep reading to find out what’s in season for the summer that can help lower your risk of cancer! First things first, let’s talk about the amazing benefits of eating locally and in season. Eating locally and in season not only means ripe produce that tastes delicious, but it also means that fruits and veggies have higher nutritional value. This is because in season, locally sourced produce is ripened and harvested at the perfect time. Out of season produce must be harvested before it is completely ripened to account for transportation time. Unfortunately, antioxidants like Vitamin C, folate and carotenes decline when stored for periods of time. Here is an awesome website where you can check what’s in season in your area or you can reference the United States Department of Agriculture’s website for a full list of what’s in season. In a study of more than 91,000 women, the University of California San Francisco School of Medicine found that women following a diet consisting of mainly plants could cut the risk of developing breast cancer by 15 percent. Important cancer fighting nutrients to include in your meals are phytochemicals and antioxidants. Phytochemicals are a variety of biological compounds occurring in plant foods that have disease preventative properties. Antioxidants reduce the risk of damage from substances that can cause cell damage. Outlined below are summer produce with properties that can help lower your risk of cancer! In season are strawberries, blueberries, blackberries, raspberries. 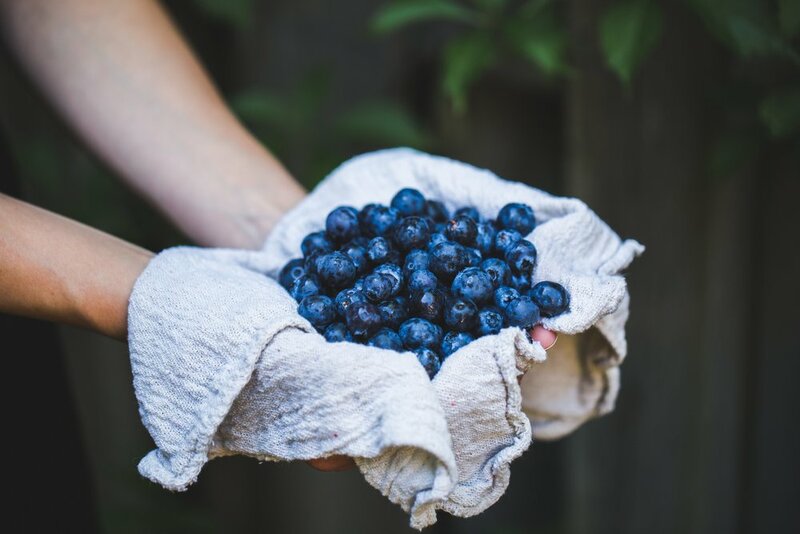 Not only are these little gems totally delicious, but they are rich in antioxidants that can reduce the risk of damage from substances that can cause cell damage. Even though garlic may cause stinky breath, it adds huge flavor to different dishes and better yet, is so good for our health! Garlic contains sulfur compounds that may speed up DNA repair and stop cancer-causing substances from forming in your body. Broccoli contains loads of phytochemicals called glucosinolates that produce protective enzymes. 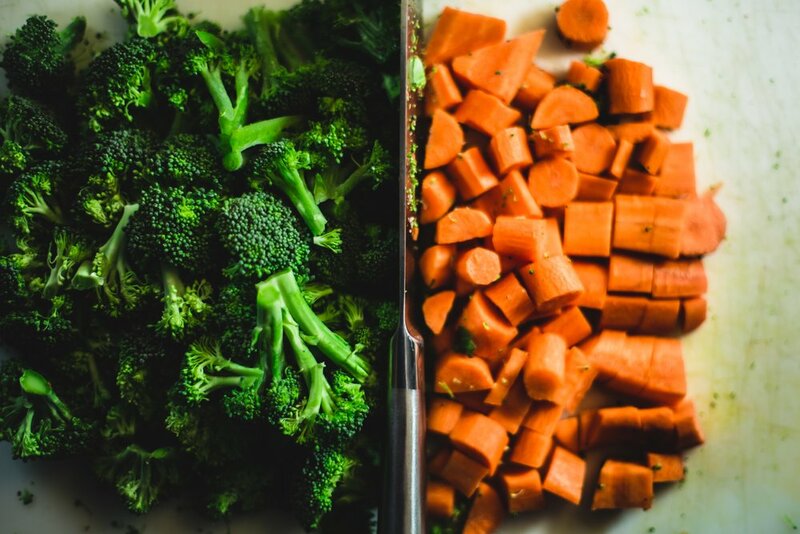 According to the World Cancer Research Fund and the American Institute for Cancer Research, broccoli and other cruciferous veggies like cabbage, kale and cauliflower are especially protective from cancers of the prostate, lung, colon, breast, bladder, liver, neck, head, mouth, esophagus, and stomach. Tomatoes are not just juicy and refreshing in a summer salad, but their vibrant red color comes from a phytochemical called lycopene that is especially concentrated in tomatoes. Studies suggest that a diet rich in lycopene dense foods could reduce the risk of prostate cancer. Carrots have what is called beta-carotene, an antioxidant that scientists believe can protect the cell membrane from toxin damage and potentially slow the growth of cancer cells. Organic produce has been a highly debated topic, and we know it can get expensive, but there are many chemicals used to grow conventional produce that can make eating them do as much harm as good in the long run. If you can shop locally, talk to your farmer and ask what they use to grow their produce. You'll often find that some farmers can't afford an organic certification, but they grow their produce without Glyphosate or other harmful pesticides. You can also check out Environmental Working Group's Dirty Dozen and Clean 15 to get the low down on the foods you should always try to buy organic. Although the foods mentioned above have been linked to having anticancer properties, it is also important to include a wide variety of plant foods into your diet and incorporate exercise into your life. Read more about the importance of exercise when it comes to lowering your risk of breast cancer at the Keep A Breast website. Amanda is a proud xicana and intersectional feminist. She loves the outdoors, her cats, and Jurassic Park. She cares deeply about social and environmental justice, being a compassionate human being and writing and performing poetry. When she isn’t advocating for the environment, she is most likely learning about paranormal phenomenon or just lounging around.